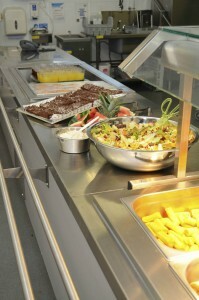 Midday lunches are prepared and served on the premises and the children have a choice from a menu of healthy options. The charge for a school meal from September 2018 is £2.30. Payment is made using ParentPay. Free school meals are supplied to the children where a family is receiving Income Support or Income Based Job Seekers Allowance. Details are available at the school office. A number of midday supervisors are employed to supervise the children who stay to dinner at school. Senior staff are also available at lunch time to supervise the children. Fruit and water – The children are given the opportunity to have a drink throughout the day. Children in KS1 receive a piece of fruit every day. 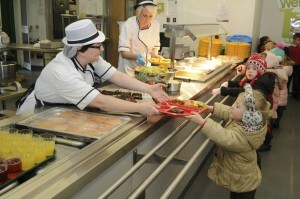 If your child has specific dietary needs, please see the Head teacher. Packed lunch may be brought to school. It must be placed in a plastic container labelled with the child’s name. Children are asked not to bring fizzy drinks, glass bottles, chocolate or sweets. © Copyright 2019 Rudheath Primary Academy. All rights reserved.